Let's save our children by changing our behaviour! Around 200 students and health workers parade across Kampong Speu province to inform families about the signs of child pneumonia and newborn diseases. Kampong Speu, Cambodia, 30 June 2015 – Earlier this month at Kampong Speu Provincial Health Department, the Ministry of Health celebrated the official launch of the campaign to promote care-seeking behaviour for children’s pneumonia and newborn illnesses, with support from UNICEF, KOICA and other development partners. The campaign aims to promote child survival and health by encouraging mothers and caretakers to immediately bring their children with danger signs of pneumonia, and newborn babies with danger signs of illnesses, to the nearest public health facility to receive life-saving treatment. 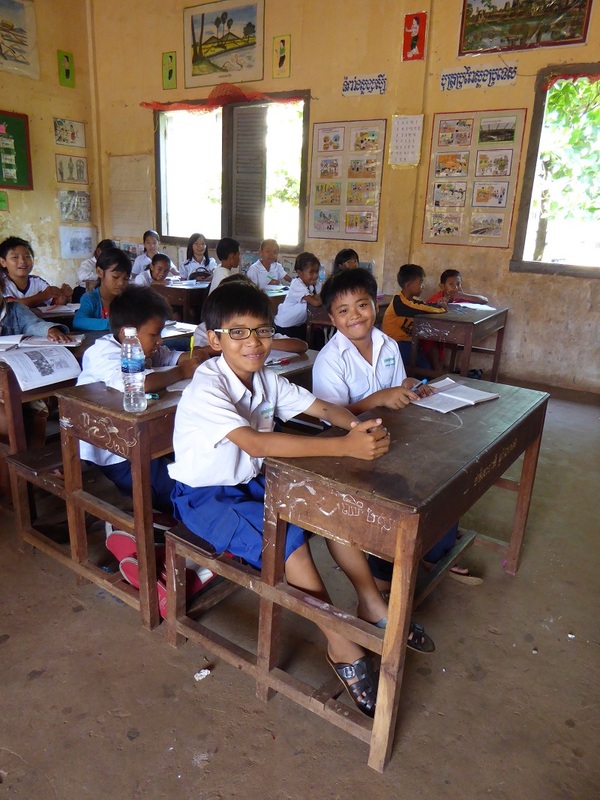 Sam Nang Pheap Puthi (right) with his friend Chhim Sothea at Krong Kampot Primary School in Kampot province. In 2010 both boys were diagnosed with visual impairments and placed at the front of the class by their teacher so that they could see better. They are both in Grade 5. KAMPOT, Cambodia, 18th June 2015: All is silent except the noisy chugging of the boat engine, which is sailing slowly up Kampot River. 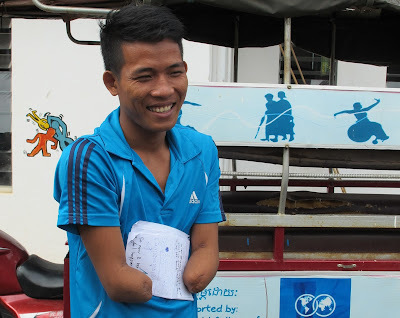 25-year-old Chea concentrates as he acts out an important shot for the film he has written, as part of the UNICEF One Minutes Junior workshop. The scene ends and one of his team mates tells a joke. Chea breaks out into his trademark wide smile. Long Sreynet, 13, attends the UNICEF-supported Multilingual Education Programme at Sangkom Primary School, in Kratie province. 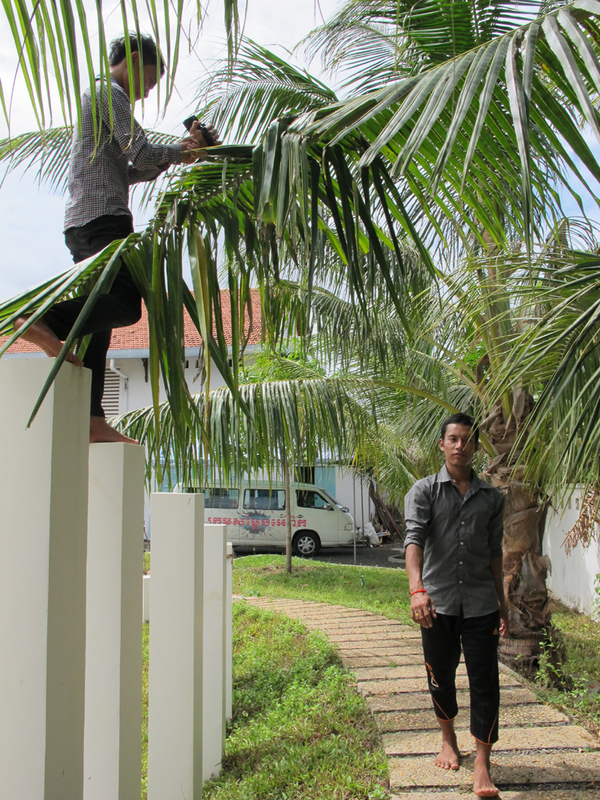 KRATIE, Cambodia, 15 June 2015 – It is early morning; Kratie is just waking up. Villagers are getting ready for their day, fetching water and preparing breakfast. In the surrounding green fields, cows and water buffalos are quietly grazing, ignoring the morning hustle and bustle coming from the roads nearby. Inside the houses, children are getting ready to go to school. So is 13-year-old Long Sreynet. 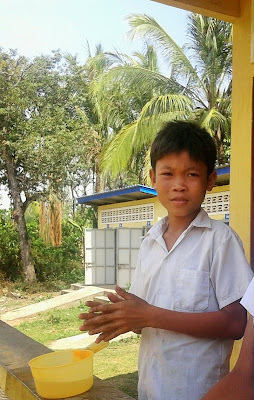 14-year-old Chorn Seth washes his hands at Kohcheck Primary School, Prey Veng province.